The EveryDollar iPhone app continues to grow and change! We’ve got three super-cool updates to share with you. 1. You’re now in control like never before. Copy your budget from the previous month, add items, and edit them however you need to. You can also reorder items and keep track of everything when you’re done! Everything you need is at your fingertips! 2. Wouldn’t it be great if you could see what’s left to budget? Now you can! You’ll know exactly how much money you’ve got left to work with, which makes giving every dollar a name super easy. 3. We’ve also fixed a few bugs that aren’t interesting at all. We’ll spare you all the intricate details. Bugs just aren’t that exciting. But now that we’ve fixed them, your experience will be whole lot better. Thank you for all the feedback and for taking this ride with us. More upgrades and updates to come. Budget happy! 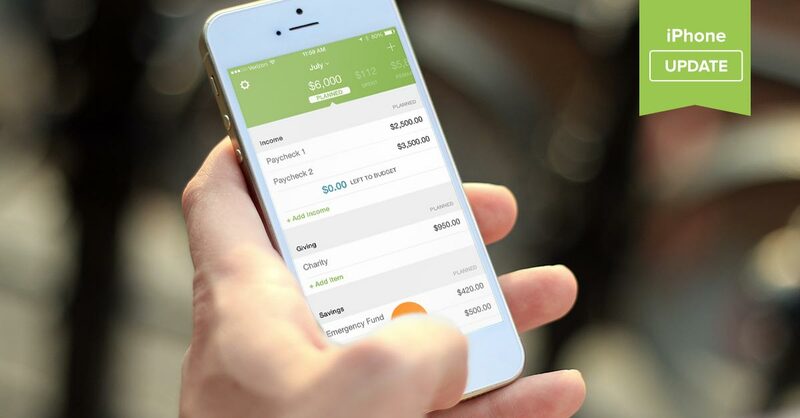 Download the newest version of the EveryDollar iPhone App in the App Store.